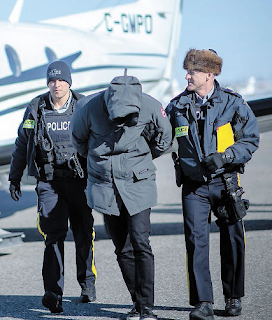 Operation Collector is an extensive investigation that RCMP used to dismantle an international money laundering network based in Montreal and Toronto. The crackdown targeted 19 suspects, including a dozen in greater Montreal. The network is said to have helped the Hells Angels and other criminal groups to do business with drug cartels in Mexico, cocaine producers Colombia, and Chinese suppliers of synthetic drugs. Cops observed Quebec couriers carrying cash-filled sports bags from Montreal to Toronto. Alleged leaders of the network are Lavallois Mohamad Jaber, 51, and Kamel Ghaddar, 39, men with links to the Lebanese underworld who were involved in a failed attempt to import 132 kg of cocaine in April 2017. 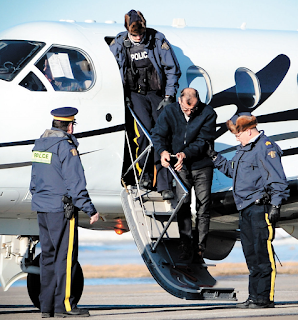 Two suspects are still wanted by the RCMP: Montrealer Victor Vargotskii, 56, and Francisco Javier Jimenez Guerrero, 35. In other news, it has been revealed that a huge money laundering case in B.C. was abandoned because prosecutors incompetently released the identity of a secret police informant.